The term ‘chip shop babies’ began when it was discovered that often new born babies mostly in developing countries arrived into this world and had no clothes to put on. As a result the newborns were wrapped in newspaper, just like a fish supper, to keep them warm. News of this reached knitters up and down the UK who developed a simple vest pattern, with additional hat sometimes, which even a novice knitter could cope with. 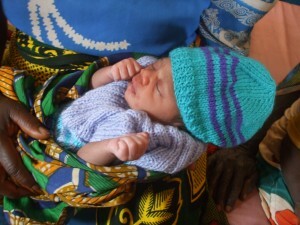 As a result tens of thousands of vests have been knitted and sent out to needy babies around the world. This could take some time…notice to recommence will be posted here. Thank you everyone for your hard work and contributions. Any monetary donations to support the shipping of the container would be very welcome. 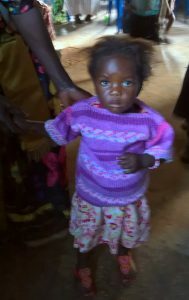 Mission International is currently fundraising to fund the purchase and shipping of a container which will carry some of the Fish & Chip baby knitwear to Africa. The cost is likely to be in the region of £10,000. If you can help by fundraising locally then that would help us a great deal. 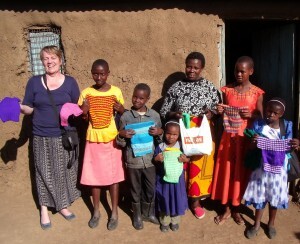 One idea for fundraising is for knitters to make ‘Pocket Pals’ (Contact us for a copy of the knitting pattern) to sell as part of the fundraising support. 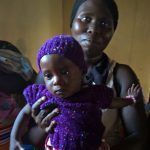 You can find out more about Mission International’s Container Relief here. Please let us know if you can help us in the fundraising effort. 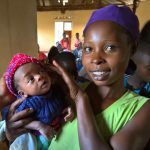 To make an on-line donation to Mission International’s chip shop babies project, please click here. To discover other ways you can give, please click here. Clare, one of our visiting midwives, delivers a child at risk. 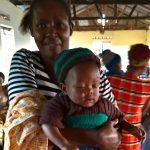 Mission International has been instrumental in storing, packing and sending chip shop baby vests to a number of countries in Africa where the need is great. 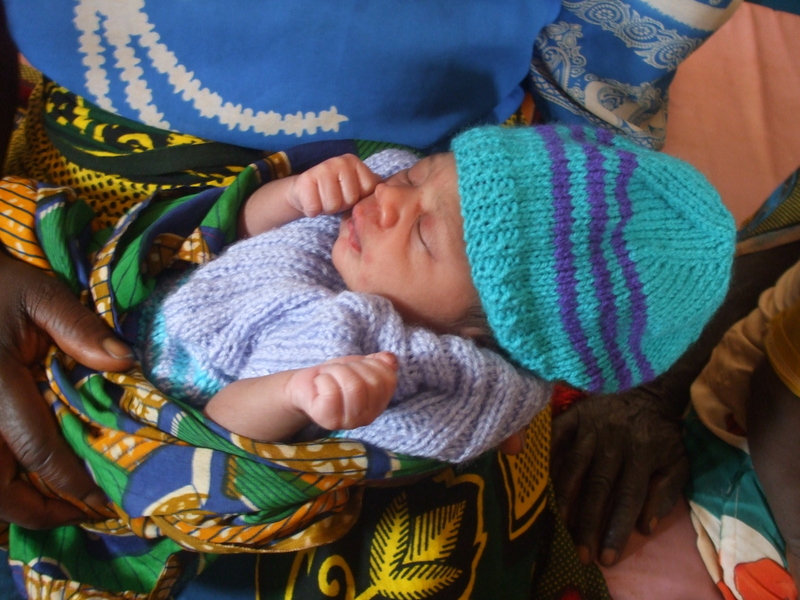 An at risk newborn baby receives a knitted vest and hat. 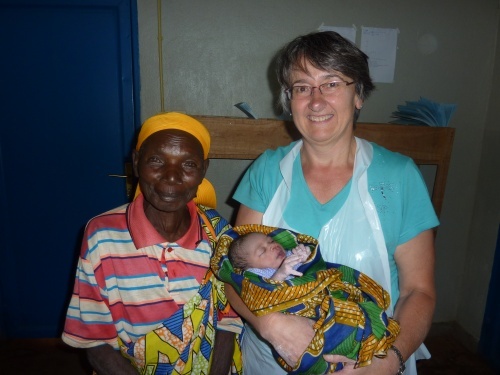 A recent mission team carried consignments of baby vests which were distributed to local midwives and will be given to needy newborns as they arrive in this world. 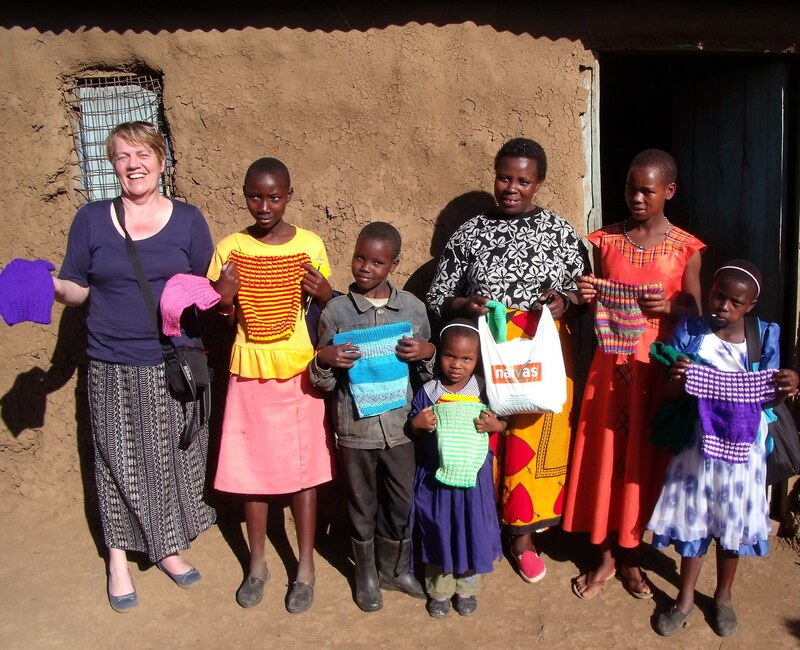 The babies who received vests early in their life are of course now growing up, some are going to school and so would benefit from school jumpers. 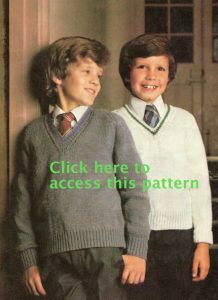 If you would like to help then we need single colour V-neck jumpers in grey, blue, navy, green, maroon, etc; in fact any of the colours used in schools in the UK. 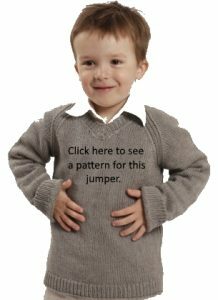 We need them in sizes for primary 1 through to secondary 6. 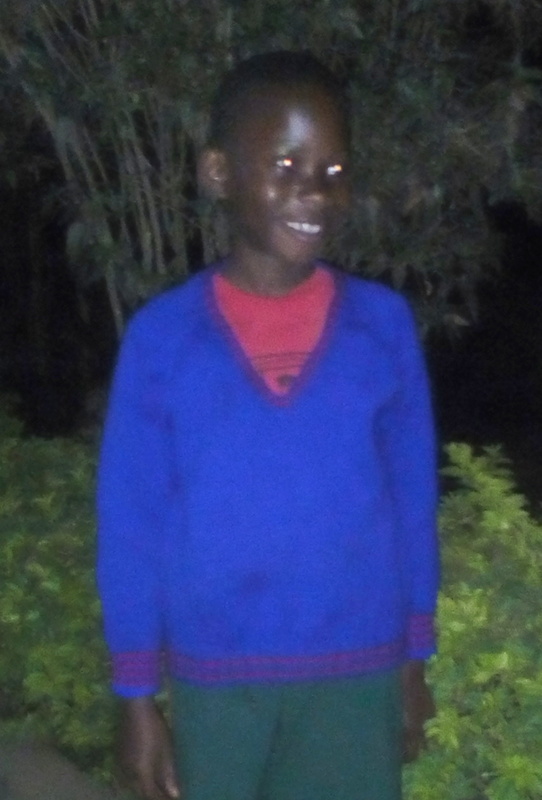 Although many of the countries in which Mission International operates have hot climates, the local children do feel cold early on their way to school and later as they go home. Children in Uganda receive School jumpers as part of their school uniform. Designs for occasional wear are also very useful for families where children grow up fast. Something to wear to go to Sunday School or to visit friends with mum and dad are very welcome by needy families. 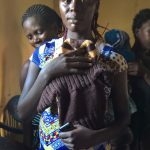 Even if you can’t knit, you can help! The flow of vests and matching hats continues to flood in to the Mission International HQ in Dundee. 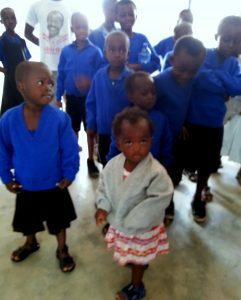 One area however that we would benefit from extra help is the funding of transport to take the vests out to the children who are in need. Often our teams will carry vests as they travel out to deploy in areas of need, however there are many more vests which need to be sent independently. Please consider providing funds to send vests out to those in need.